With the trademark “NARVA” , the vosla GmbH offers costumer specific solutions for airfield lighting in excellent quality, “Made in Germany”. NARVA airfield lamps are characterized by durability and ensure perfect, reliable illumination for runway and taxiway safety. 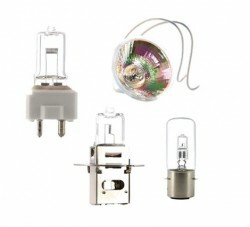 More than 60 years of experience in the manufacture of lamps guarantee the highest standard of quality. We offer halogen as well as conventional airfield lamps and LED retrofit solutions on request. NARVA airfield lamps with extended lifetime (LL) are definitely the perfect solution to secure longer replacement cycles and to improve the reliability of runway and taxiway lighting. Those lamps are used in all airfield ground lighting fixtures worldwide. With our highest delivery performance and highest quality standards we already convinced many airports of the world. On request we offer LED retrofit solutions. NARVA manufaktur presents its history as a producer of highly specialised light sources, a tradition that has been ongoing for more than 60 years. This includes an extensive range of halogen and standard light bulbs for airport runways and taxiway markings. The current industry standard ensures that all lamps can be replaced easily, making this the perfect solution for improving the reliability of runway and taxiway lighting. In addition to the many lights that now have an even longer lifespan, all products guarantee a high level of reliability, long replacement cycles and low maintenance costs. The lamps meet the requirements of the FAA, the ICAO and many leading national and international regulations. All products are lead- and mercury-free. Numerous certifications illustrate the precision of the products made by NARVA manufaktur, while worldwide references emphasize their exceptional quality.